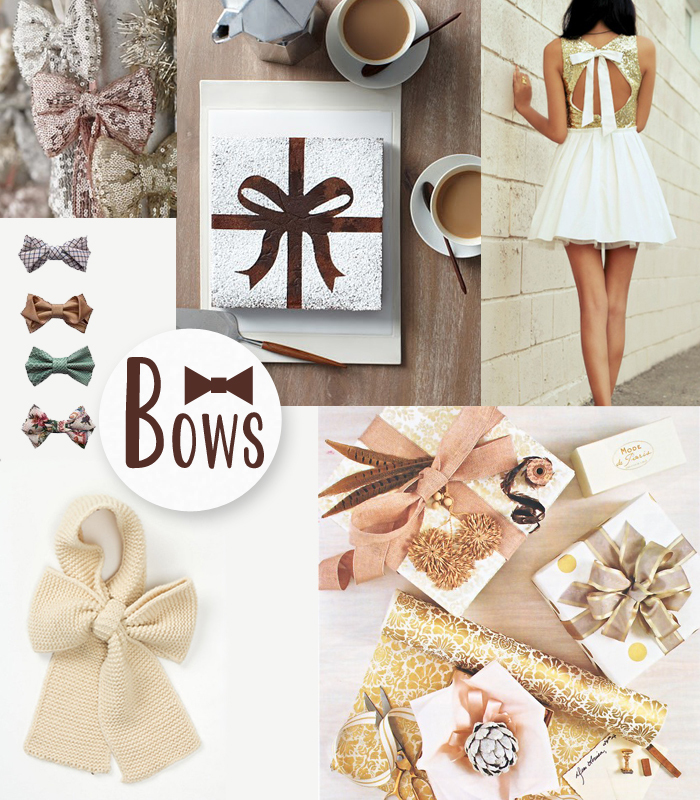 You heard right, it’s Bow Week on Prudent Baby and we’re kicking it off with some of our favorite bow finds. First, I’m in love with this sparkle bow dress and the knitted ascot bow scarf. Bows are not only for the ladies, there are some bowtacular finds where these Laurent Desgrange bow ties came from. Bring bows into the home with sequin bow ornaments for the tree. Surprise your hostess with a delicious bow brownie (with free template). Get some wrapping inspiration with these pretty packages photographed by Max Kim-Bee in Traditional Home Holiday Magazine. This is just the beginning of our bow shenanigans for the week. What are some great bow finds you’ve spotted? Bow false eyelashes perhaps?